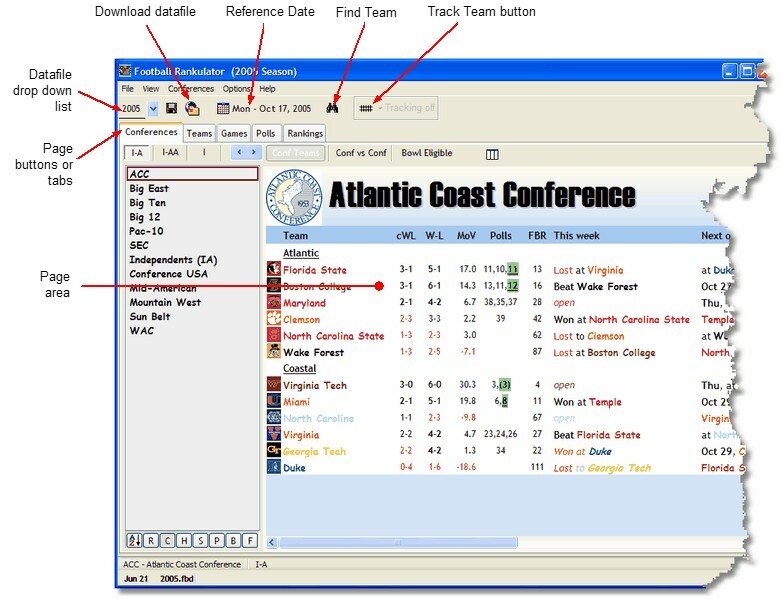 Football Rankulator utilizes a single document interface. There is one main form for the application. Below the Main Menu is a toolbar which allows you to quickly change football seasons, and change the season's Reference Date. Below the toolbar is a list of buttons (or tabs) to change the current view page.